MWS-ST/SR-11 type microwave sensor is a level switch which consists of a transmitter (MWS-ST) and a receiver (MWS-SR), installed face to face. The transmitter emits a continuous, low power microwave beam towards the receiver and an output relay is released when the beam is obstructed. 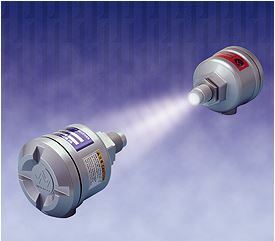 The sensor has wide application across all areas of industry where highly reliable, non-contact level detection is required. The sensor is generally used for process control by monitoring presence/absence of product, flow/no flow conditions and poing level detection in bins and silos. The sensor may also be used as a proximity switch for detection of vehicles such as dump trucks and rail cars. For level detection & Block chute detection.